Farmer-to-Farmer (F2F) volunteer Dr. Sanjay Shah visited the vermicomposting facility of Jyoti Development Foundation (JDF) during his assignment with Human Resource Development Organization (SETU) in Bangladesh. JDF is a humanitarian organization providing services for the disadvantaged, orphan and street children. SETU Program Manager Mr. Debesh Chandra Sarkar will use what he learned from Dr. Shah to provide technical support to JDF as a volunteer for their vermicompost and municipal waste management program. 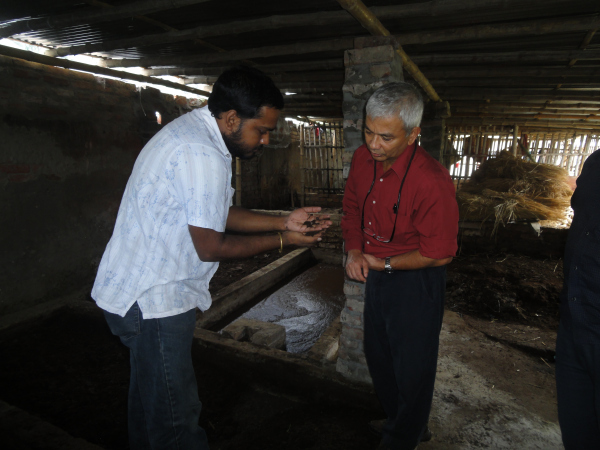 In the photo below, Dr. Shah (right) is training Mr. Sarkar on how to check moisture content and quality of vermicompost. Today is October 16, World Food Day. A reminder for each of us to consider the daunting task of making sure that the world’s 7 billion men, women, and children can eat. On this day in particular, we ask ourselves, “how can I make a difference?” One answer is to volunteer. Over the last 21 years, Winrock’s volunteers have impacted 8.2 million individuals in 56 countries around the world, contributing to the global effort to increase availability, access, and quality of food. We are proud to see how these efforts are making a difference. 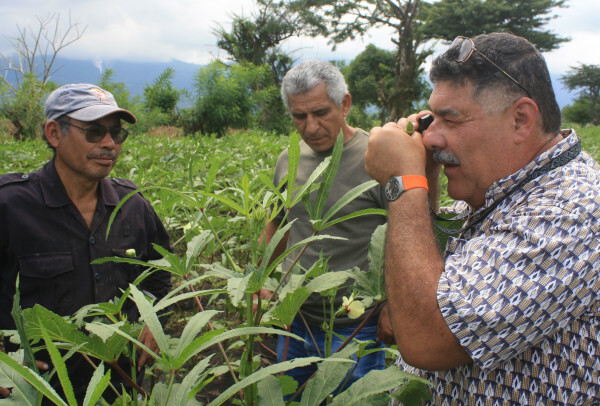 In El Salvador, volunteer Alejandro Segarra-Carmona (right) shows local farmers how to apply sustainable pest control techniques to their crops. Segarra-Carmona came here to provide good agricultural practice training, integrated pest management and quality standards. Trainees will apply these techniques to increase production and improve quality. In Bangladesh, Farmer-to-Farmer volunteers have trained women farmers on improved vegetable production techniques. 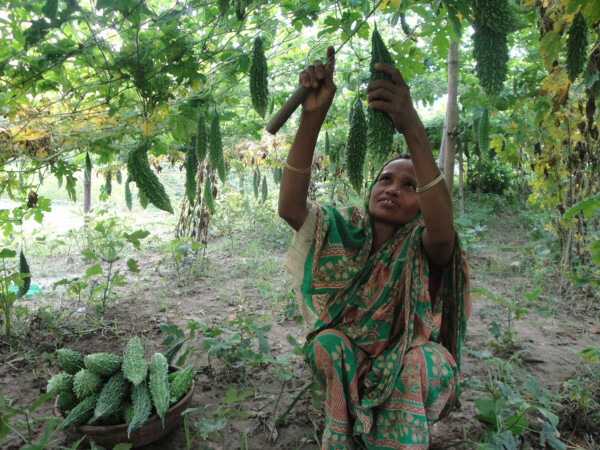 As a result, women (like the woman pictured) have been able to successfully grow bitter gourds and vegetables in fallow lands. Their families have reaped the benefits of improved nutrition and increased income. These efforts -and many others- have helped our beneficiaries increase sales by $52 million and increase income by over $9 million (combined). This is tremendous impact, though there is still more work to be done. Check out Winrock’s website , if you want to be a part of the effort to help increase food security around the world! 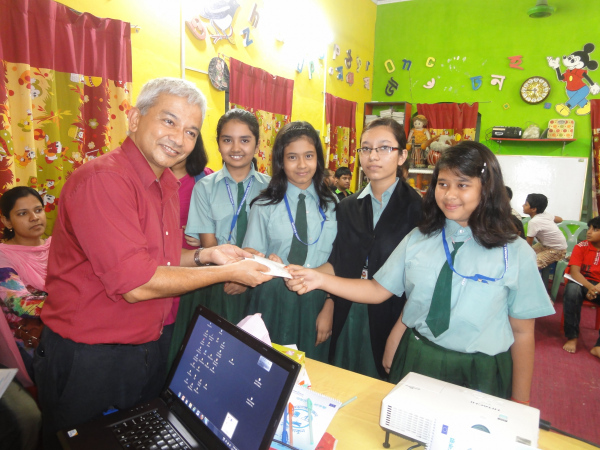 October 11 is the (first ever) International Day of the Girl Child. Over the years, our volunteers have made a difference in the lives of many girls, whether it be by providing agricultural, entrepreneurship, or skills training to youth (girls and boys), or by increasing incomes and food security at the household level –to ensure that girls (and boys) have food to eat and money to pay for school fees or healthcare. 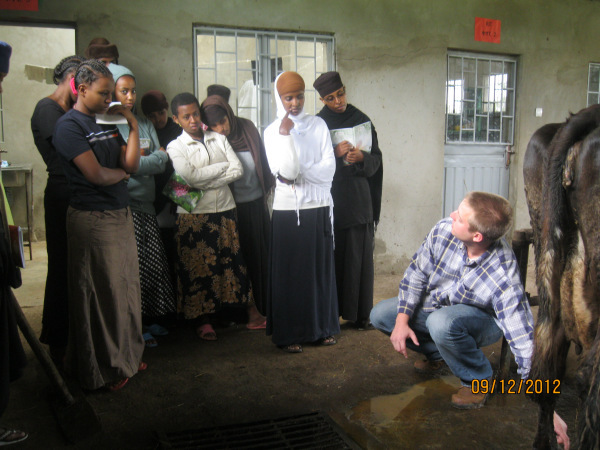 Last month, two volunteers – Hans Schmitz and William Horan from Purdue University –traveled to Ethiopia to work with girls and caretakers at Sebeta Getesemani Nunnery/Orphanage in Oromia, Ethiopia. Established in 1961, the Nunnery is situated on the premises of the former Palace of Empress Menen. There are approximately 85 Orthodox Christian nuns and 215 orphans at the nunnery – all women and girls. Many of the orphans have lost their parents to HIV/AIDs, famine, or civil wars. The nunnery has cows that provide milk as well as dairy products (yogurt and butter) that the women and girls use for self-consumption and for sale to the local community. Likewise, the nunnery has agriculture fields where they grow a variety of cereals, pulses, fruits and vegetables. The manager of the nunnery, Emahoy Firkter Mariam, is grateful for the support that they received. Today, we celebrate the efforts of Hans and Bill, along with so many other volunteers who have dedicated their time to make the world a better place for girls around the world.